Mobi kino is a basic subscription that provides online access to a collection of movies, cartoons, TV series and shows in HD quality from MEGOGO for 25 tenge per day(except the content from the Premiere section). The first 14 days of access to the content by subscription mobi kino are provided without any charges. 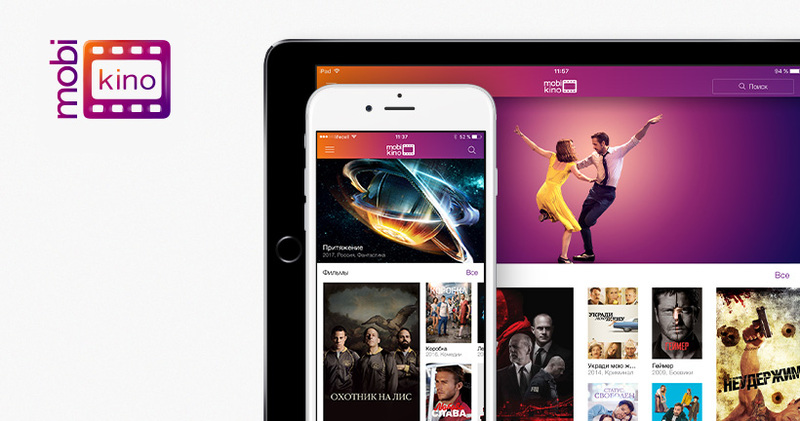 In the mobi kino mobile app users can access editor’s selections of movies, shows and series, and navigate between subsections “Popular”, “Recommended”, “Premieres”.It is easy to pick a movieor series based on the plot summaries, reviews of the audience, IMDb and Kinopoisk ratings. Also, lists of actors, their biographies and filmographies are provided. Arti Ots, CEO of Kcell JSC, comments: “Modern time dictates new formats of media consumption. Our subscribers want to watch their favorite TV shows and movies at a convenient time. That’s why we launched the mobi kino service”. According to Nurlan Chukubayev, director of MEGOGO in Kazakhstan, the launch of a video content product under Kcell brand is a good marketing solution that will allow both companies to increase traffic consumption, strengthen customer loyalty and attract customers with various rewards. In addition, the project allows to sellhigh quality products on mutually beneficial terms –pay-per-view movies (premieres) and subscription model. A mobi kino app user is able to add movies to favorites for viewing at convenient time, choose preferred language of the audio and subtitles. The recommendations system will take into account ratings, viewing history and form a personal selection of content. In addition, 3 GB of Internet traffic per month is providedfor each user’s subscription. The mobile app is available for download on iTunes and Google Play.What is more, there is a desktop version at mobikino.kz. A user can subscribe to mobi kino by installing the application on his or hers smartphone, via the mobikino.kz web portal, or by using USSD *606#.